Paris – the very name is synonymous with fine taste, understated elegance, subtle beauty and discreet charm. Paris architecture is uniform, proportioned, restrained and where there are flourishes of extravagance, they serve to highlight and underline the harmony of the whole. Even nature in Paris is organised and ordered – straight lines of trees and parterres with patterned plantings fill the parks. Generally here is nothing jarring or glaring in the Paris landscape. There is however, the odd aberration. 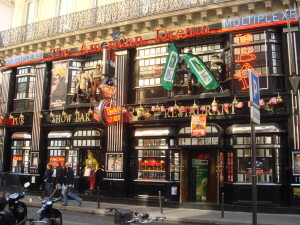 I found the American Dream Multiplexe, in a beautiful little backstreet near the Opera some years ago. 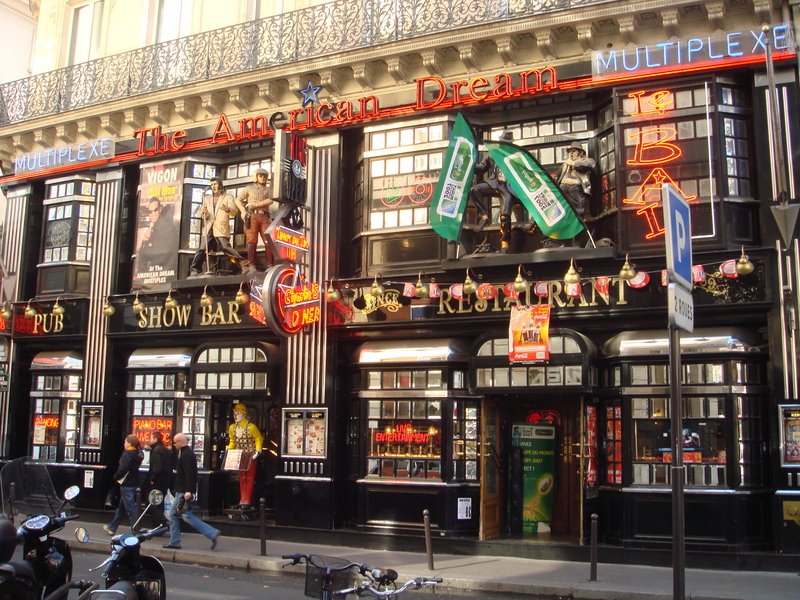 It stood among its nineteenth century neighbours, bold and brash, a riot of modern pop symbolism, a loud, unruly blot on the quiet, ordered streetscape – an American Dream in Paris.